The Nike Odyssey React Flyknit 2 Nathan Bell provides a strategic combination of lightweight Flyknit construction and synthetic material for support. Underfoot, Nike React cushioning delivers a soft, springy ride for a route that begs to be crushed. 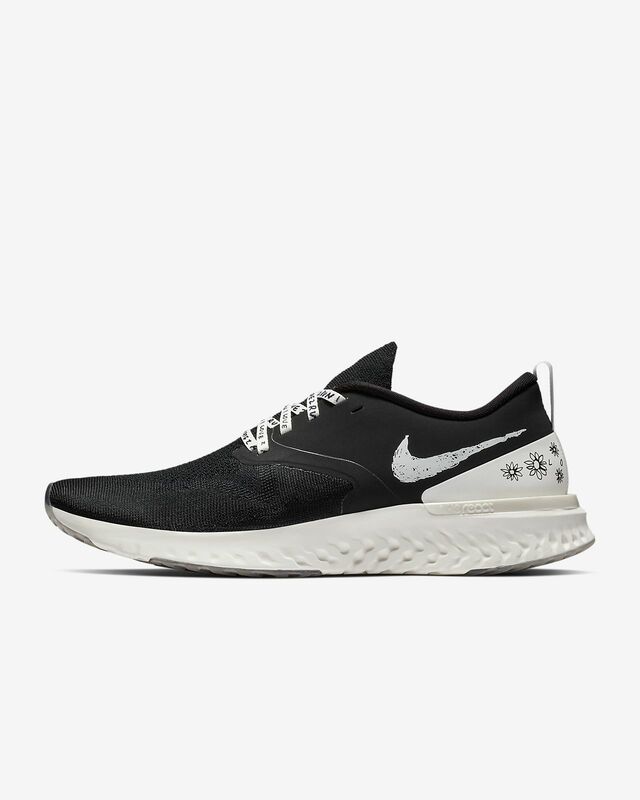 Nike React technology delivers a soft, smooth and responsive ride. Flyknit construction provides lightweight flexibility. Synthetic material through the midfoot adds support. Moulded foam collar gives soft, smooth comfort around your ankle. Geometric, athlete-informed outsole pattern helps evenly disperse impact to provide a smooth transition and soft feel. Outsole geometry and Nike React technology work together to support your foot through your entire footstrike. Hand-drawn graphics designed by Nathan Bell. When starting to work on the collection, Nathan Bell didn&apos;t consider himself a "runner". In order to get a more genuine experience, he started running. "I wanted to get out of my comfort zone and start running more. As I was running, I was literally saying in my head, &apos;I hate this. I hate this. I hate this&apos;". But the more Bell ran, he realised the appeal. "Running is more like a competition with yourself and with your mind". Bell then brought his relationship with running as inspiration into the designs. "I just kind of dove in and had fun with it. I definitely worked my style and my sense of humour into the graphics". Your order of ₹14,000 or more gets free standard delivery. Have your say. 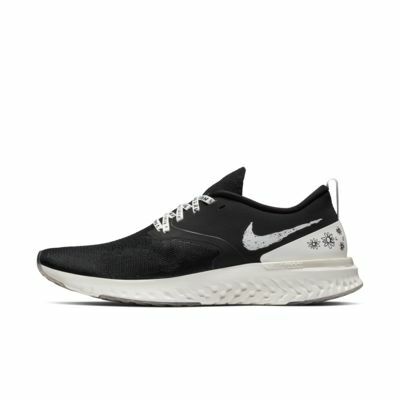 Be the first to review the Nike Odyssey React Flyknit 2 Nathan Bell.